We enjoyed spending time this summer with former student Josh. 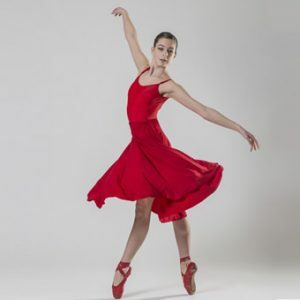 Josh has finished his first year at the Royal Winnipeg Ballet School. He stopped by for a few classes to keep himself in shape before returning for his second year in Winnipeg. It was a pleasure to have him with us again. He was a great inspiration for our summer ballet boys who were lucky enough to have him join them in their class. Photo of Josh with Mr Anton (left), Mr Carney (centre), and our younger ballet boys, Chase and Andrew. 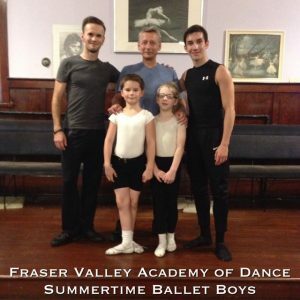 Chase and Andrew trained with us during all four weeks of FVAD’s Summer Ballet Boys sessions! 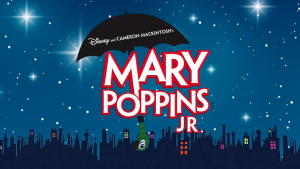 Previous Post: Summer Week 3 – A Very Eventful Week!